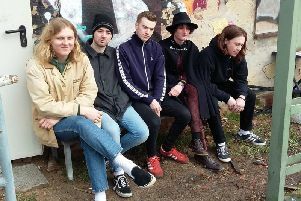 Alternative rockers A will headline the Craufurd Arms next year as part of a short run of dates to support Independent Venue Week. The band, fronted Jason Perry, have been out touring across the country this month with Wheatus and InMe and earlier this year toured with Hell Is For Heroes. Writing on Facebook, A said: “As part of Independent Venue Week we're heading back out on the road to celebrate everything that's ace about some of the countries best small music venues. A released their debut LP How Ace Are Buildings in 1997. Their fourth and latest album Teen Dance Ordinance was released in 2005. A will headline the Milton Keynes venue on Friday, February 1. Tickets go on sale on Friday, November 30.